If you are looking for a truly glamorous statement piece without compromising on quality, then you will not be disappointed with the dazzling Georgini Skye necklace. 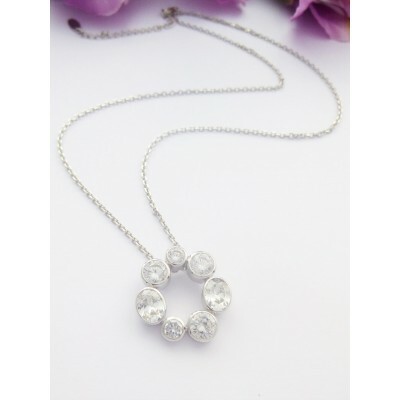 The Georgini Skye pendant comprises seven large cubic zirconia stones that have been beautifully encased in solid 925 sterling silver that makes this piece weighty and valuable. 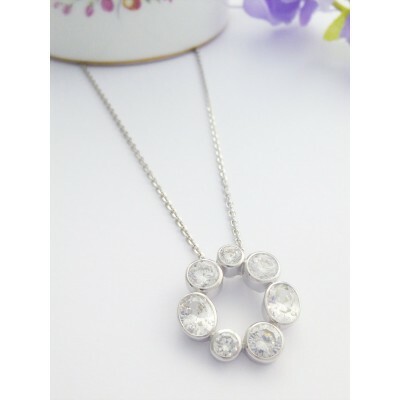 The Skye has seven stones, two medium sized round stones, three larger round stones and two large oval stones complete this circle, each is encased in highly polished thick sterling silver, this is a pendant that has great value and glamour. The Georgini Skye features a stunning pendant with seven large and beautifully finished cz stones! 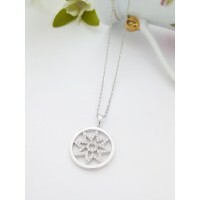 The pendant is set in solid 925b sterling silver approximately 25mm high and 22m wide with a weighty feel. 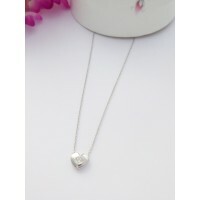 The Skye has a 43cm necklace chain with a 5cm extender and is 925 sterling silver hallmarked and Georgini branded.